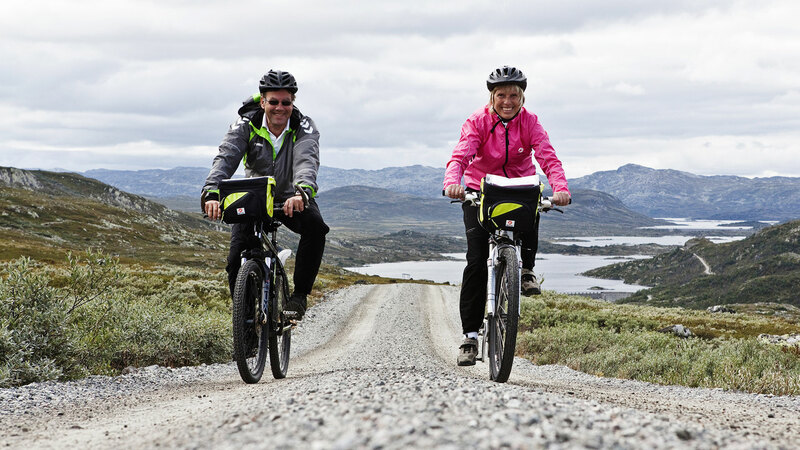 On Hardangervidda you will discover one of Norway’s most beautiful bicycle paths. 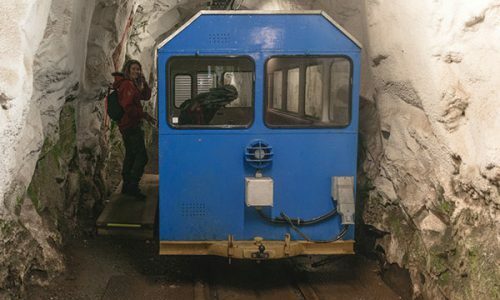 The start of the ride is unique: the north of Europe’s first two-rope cable car, Krossobanen, will take you to the starting point on Gvepseborg, 883 metres above sea level. 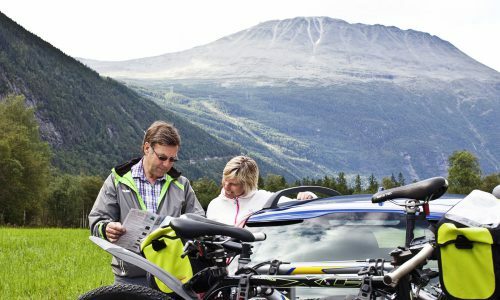 Take your time to visit the observation point at the top station, before you commence the bicycle ride. 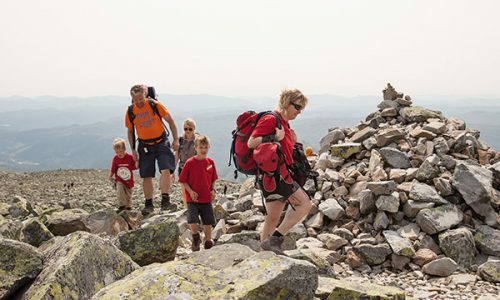 Here you will have a fantastic view of Rjukan, Gaustatoppen and Vemork. The bicycle ride begins with an incline that is approximately 2 km long. Many opt to push their bicycles this first stretch, before they mount the bicycle and begin the 30 km ride to the Kalhovd Turisthytte (tourist cabin). The continuing road is slightly hilly and well-marked with signs. 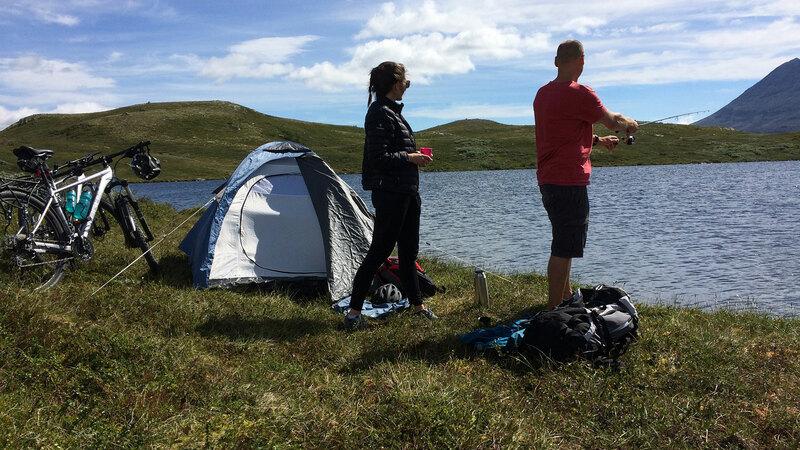 There are several scenic resting places with fishing opportunities along the route. If you wish to extend the ride, take a left at the intersection by the Kalhovd Tourist Cabin and cycle an additional 8 km to Synken. Here, take the boat MB Mårfjord to Mårbu Turisthytte and spend the night there. 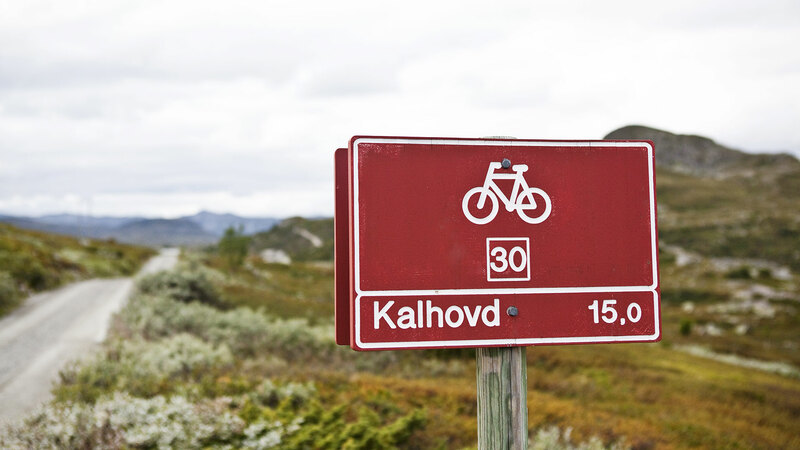 You can return by the same route, or you can cycle through Atrå and return to Rjukan that way. 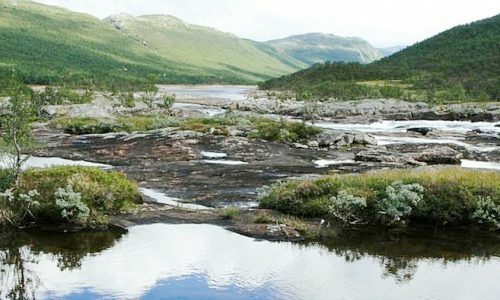 The journey distance between Kalhovd and Atrå is approximately 30 km. 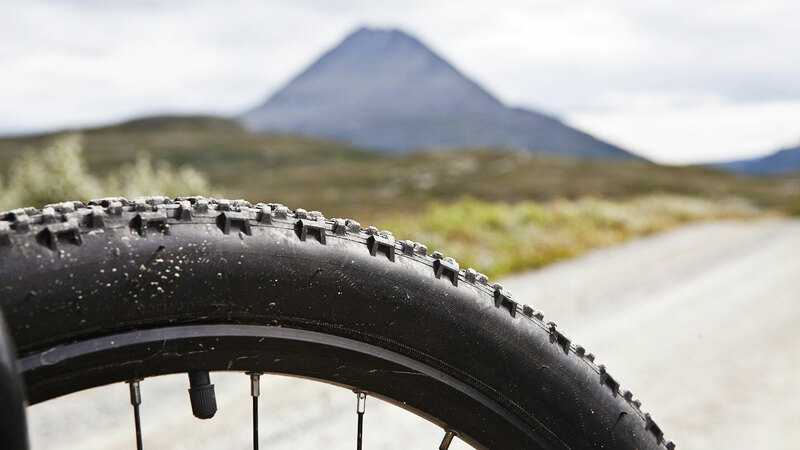 For the most part, this is comfortable cycling as many sections of the route are downhill. Please note that when you are halfway through this stretch, you will reach an asphalted road where there might be fast cars. 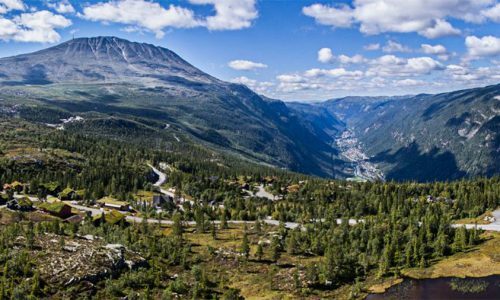 From Atrå to Rjukan the bicycle ride follows the motorway and is a stretch of approximately 25 km. 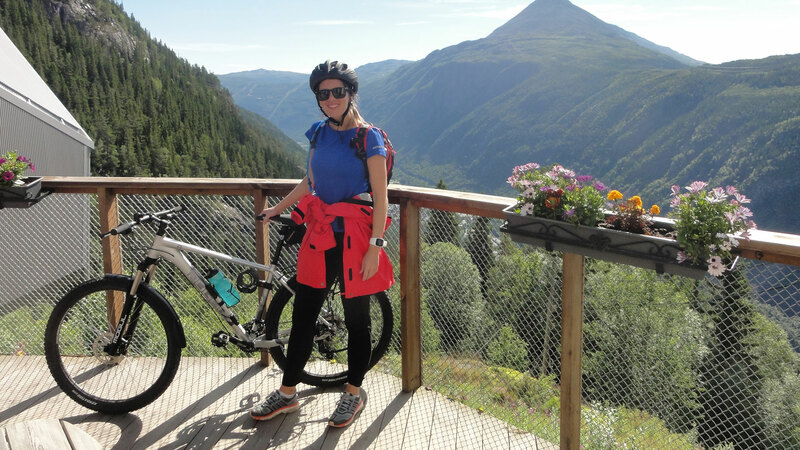 Rjukan Tourist Office sells 3 different bicycle packages. Choose between a trip to Kalhovd, Mårbu or a combination of both. Read more about the bicycle packages here.